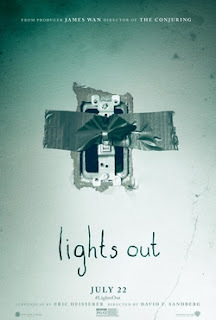 Plot: A woman is haunted by a creature that only appears when the lights go out. The movie has its creepy moments, but is majorly flawed. There are so many holes in the plot, and the movie has one of the weakest endings of all time. I loved the creepy jump moments. The overall reality of mystery, yet the movie was to quick, and really had no plot. The hidden monster was over used, and became un-scary in the over use. That is one major flaw is the creature, being over used, or pushed on you too much, making the viewer become accustomed to it, and you think “okay whatever”. The acting is solid. Gabriel Bateman is a true actor to watch out for. Brilliant in his young reality. Sadly, not enough story, not enough to explain everything. To quick. I guess the best way to explain it, it became pointless. 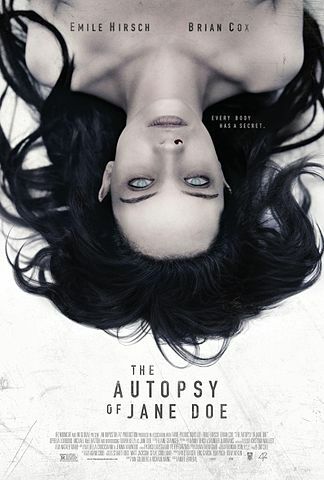 Plot: Coroners are mystified by an unidentified corpse until a series of terrifying events make it clear: Jane Doe may not be dead. This was a great interesting and thought provoking story with a unique plot. It’s something new and original. Really loved the mystery and the overall feel of the story. It felt weird, disturbing. There was a great spooky feel to it. The makeup and special effects are solid. Great seeing a horror movie without CGI. This has all the fun elements of a spooky horror film. Loved how it felt new, and fresh, not the same old, same old done. Solid acting. Emile Hirsch brilliant as always. The masterly talent of Brian Cox is perfect. The atmosphere in the morgue is creepy and plays perfectly against the backdrop of the story. Predictable ending, but did not ruin the overall film. Loved the fresh originality of the movie. Creepy darkness. Tension. Very mysterious. Haunting. Plot: A mother & daughter must confront a terrifying monster when they break down on a deserted road. This had such amazing promise. 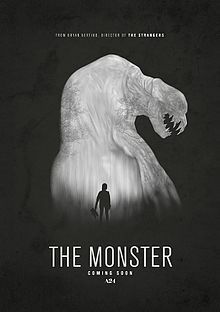 I wanted to love this movie, but it ended up becoming a humdrum cliché and boring mela-drama, adding in a costumed monster. I thought the creature was Zuul The Gatekeeper or Vinz Clortho The Keymaster, I started going eeny meeny, miny moe which one are you. The whole premise failed quickly, insert with a back story of a daughter and mother that never is really explained. Has all the trademarks of a B-grade creature feature, which is a plus for lovers of that style, yet it has nothing of the Cult status that they become. Blah Blah ending. So many holes in the story. No explanation of what, who, where or why. Characters are very unlikable. Backstory in pieces. Too much sappiness. No suspense. It is what it is. Boring.